Since the emergence of human rights and civil liberties discourses there has been a widespread consensus about the role of the media to foster democracy. In the words of Walter Cronkite, the legendary broadcast journalist of the American CBS: “Freedom of the press is not just important to democracy, it is democracy.” And yet, the consensus often floats above crucial questions: what type of media does democracy need? 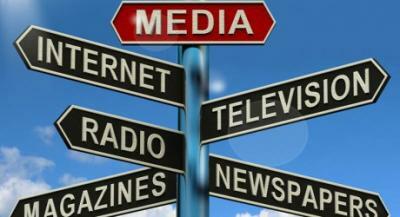 Are current media systems adequate to guarantee the communication needs of a democracy? While media policy discussions tend to have a national focus, there are some common struggles that can be recognized as global media reforms challenges. These are not challenges of single nations: despite historical and national differences they demand a common, super-national, global effort. The first challenge concerns the birth of what I like to describe as the “Snooping society”: since Edward J. Snowden began releasing National Security Agency (NSA) documents in June, revelations about mass surveillance operations by the American agency have caused outrage in the United States, Europe and Latin America. There have been demonstrations and strong condemnations by heads of state, and even President Obama admitted that reform is urgent. The power of all public and corporate entities with access to citizens’ private information must be constrained in a transparent and publicly accountable way in order to secure protection of civil liberties. Indeed, there are severe restrictions in the US for what concerns phone tapping and physical searches in private spaces, but the same rule does not apply to storage of digital data operated by the big digital majors (such as Amazon web, Google, hotmail, Facebook, Twitter) that happen to store data far beyond the US borders. And if the digital major choose not to stand up against Government’s demands, we – as citizens – have the right to know, so when we will be asked to select our mobile, internet or phone operators, we will be able to make a conscious choice. Digital transparency becomes therefore paramount. The second challenge is media ownership and excessive concentration. It’s no secret that in recent decades ownership of the media has been relaxed in most western democracies. And paradoxically, there is a widespread political consensus that media ownership should be regulated, and that existing rules have not been adequate. The recent phone hacking scandal in the United Kingdom has perhaps offered one of the most striking examples of how the exercise of unchecked, highly concentrated and dominant media power can undermine the proper conduct of democracy and yet, reform of media ownership rules seems almost impossible to achieve. Such public interest obligations should include measures protecting editorial standards, editorial independence of media workers, terms of supply to third parties, investments in investigative journalism. Finally, the third challenge. In several countries, traditional news business models are in crisis. News providers are confronted by a slow but steady decline in readers and viewers, the migration of advertising online and only limited success in ‘monetising’ new online audiences. Reforms need to address the problem of sustainable funding for quality, investigative and local journalism – the areas of journalism left most vulnerable. What to do? One option would be to consider introducing levies on communications companies’ turnover or profits to help sustain new and existing public-service oriented news projects. There is established precedent in Europe for funding press subsidies through a tax on television advertising like in the Netherlands or in Sweden. The Media Reform Coalition for example has proposed a 1 percent levy on search engine and social media advertising sales in the UK. These are three urgent reforms that entail a global common effort: accountability and transparency to counter digital surveillance, stricter media ownership rules and interventions to secure funding for quality journalism. As Nelson Mandela once said: it always seems impossible until it’s done. Dr Benedetta Brevini is a Lecturer in Communication and Media at the University of Sydney and a Visiting Fellow of Centre for Law, Justice and Journalism at City University, London. This piece was originally published on The Charta, and is reproduced with permission and thanks. The Charta is a slow news website which has a a two weeks’ liveline before publishing a story. It can be followed on @thecharta.